라파예트 로널드 허버드(Lafayette Ronald Hubbard, 1911년 3월 13일 ~ 1986년 1월 24일, LRH)는 미국의 펄프 매거진 저자이자 사이언톨로지교의 창시자이다. ↑ Church of Scientology. 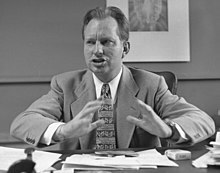 L. Ron Hubbard's death. Image of Death Certificate. Retrieved on: 2012-06-15.